Back in the early 2000's Larry Summers, the controversial President of Harvard University, questioned whether someone without some elementary science and technology foundation could be considered literate in today's society. Summers felt that it was important for every educated person to understand basic data analysis through probability and statistics. He questioned whether one could truly be considered 'educated' having only studied the works of Shakespeare without the addition of other fundamental disciplines like biology, chemistry, or computer science. Now, a decade later the rapid embrace of STEM from K-12 to college would indicate the education community has started to realize that he may have been right. Arguably, it will become increasingly important for relevant tax professionals to also have essential STEM knowledge. The acronym has recently gained popularity during national discussions about America's perceived shortage of highly skilled workers and inadequate education in the fields of science, technology, engineering, and mathematics (STEM). While there is no formal definition, many organizations including U.S Immigration, the Department of Labor, and the National Science Foundation have identified key areas of focus, summarized in the chart below. The recent growth of STEM development has been inspired by the desire to better connect students with science in a real-world context. The goal of STEM-minded educators is to promote interdisciplinary thought and analysis in order to identify technological needs and applications, observe and interact with relevant scientific phenomena, and communicate their findings. The overarching themes revolve around fostering curiosity, cultivating an engineering methodology, and teaching students that mistakes are an essential part of the scientific process. In order to design buildings to support these new teaching principles, architects have begun to re-think the traditional classroom environment. The primary design challenge is to provide the necessary equipment such as wet and dry labs, computer spaces, offices, and learning areas while maintaining the flexibility of the spaces and encouraging collaboration and unexpected intellectual collisions. A secondary objective is to integrate the most recent technology in order to highlight and inspire students' interest in engineering. Many schools have embraced this challenge incorporating highly visible sustainable technologies such as rainwater harvesting, solar arrays, and green roofs. STEM focused buildings are also helping to teach innovative design by integrating modern energy efficient equipment. The Sarah E. Goode STEM Academy, a high school located in Chicago, Illinois, was opened in 2012 and is LEED Gold certified2. The building was equipped with an extremely efficient HVAC system, which included Geothermal Water Source Heat Pumps, Energy Recovery Ventilation, and Demand Controlled Ventilation. These additions provide the building's owners with considerable savings in energy costs and additional financial incentives in the form of rebates and tax incentives. By installing these forward-looking technologies students are getting a close look at the cutting edge field of energy efficiency construction. This firsthand experience will likely help encourage their awareness and stimulate energy efficient design and advances in the future. Prep schools are also innovating their curriculums and the buildings which support them in order to place a greater emphasis on STEM. For decades, the science and math wing of the Groton School, a preparatory academy in Groton, Massachusetts, was simply an add-on to the main building. Their new STEM facilities integrate with the rest of the school's historic facilities both aesthetically and functionally. Groton stresses the unified nature of their STEM approach and hands-on, computer enhanced learning. Its facilities support these goals by functioning more cohesively as a unit and through the use of cutting edge technology. Included in Groton's revamped STEM facilities is a re-design of the woodshop to be more like a fabrication laboratory (Fab lab). According to a recent report from the Georgetown University Center on Education and the Workforce3, 65 percent of people with a Bachelor's degree in a STEM-related discipline earn more than Master's degrees recipients in non-STEM occupations. Furthermore, 47 percent of Bachelor's degrees holders in STEM-related fields earn more than doctorates in non-STEM occupations. The United States cannot lead the next generation of manufacturing innovation without a large base of STEM educated workers. The current boom in 3D additive printing4, which is taking the manufacturing and product design economy by storm, was developed by MIT and funded by grants from the Office of Naval Research and the National Science Foundation. The U.S. is now starting to embark on a coordinated industrial policy program, modeled on Germany's Fraunhofer Institute, with four federally funded technology centers. The first is the National Additive Manufacturing Innovation Institute in Latrobe, Pennsylvania. The institute received $30 million in funding and will connect 32,000 manufacturers with top universities like Carnegie Mellon and technical experts from the Department of Defense, the Department of Energy, and NASA. During 2013, the U.S government will hold competitions and award similar grants for three more institutes nationwide. Many people have preconceived notions about the manufacturing vocation which are outdated and incorrect. New factories are increasingly automated and operate with sophisticated computer controlled design systems and robotic production processes. These environments require fewer more highly skilled people. New manufacturing jobs typically require a two year degree in addition to artisan and technical skills such as machine tooling, welding, and milling. It is predicted that the bar will continue to rise with many manufacturing jobs, requiring four year degrees. At its San Ramon, California global research center, GE has recently hired 400 highly paid software engineers to create the Industrial Internet which will enable all of the equipment in a manufacturing plant to network with each other. 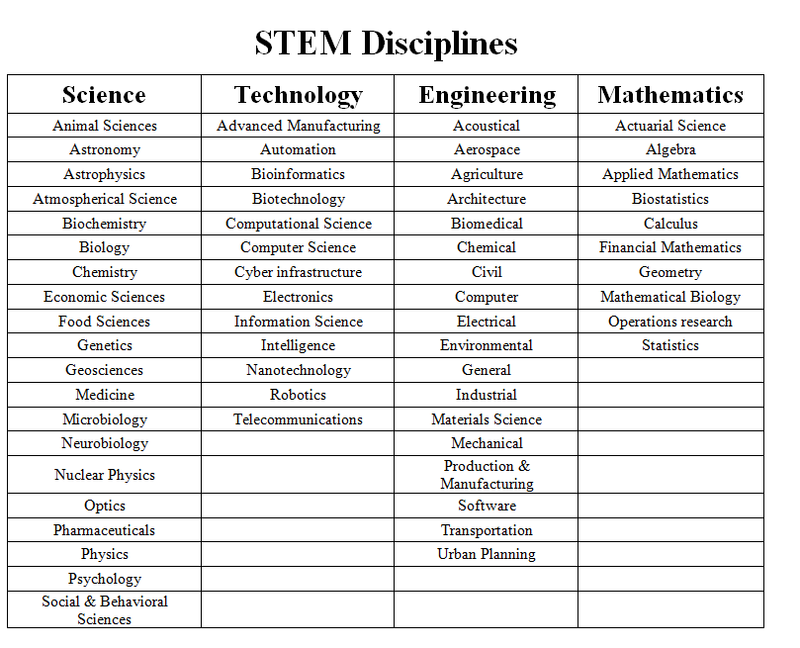 In the new STEM-based education world science, technology, engineering, and mathematics are destined to play a more prominent part. Perhaps in the not too near future we will see out first STEM tax professionals.